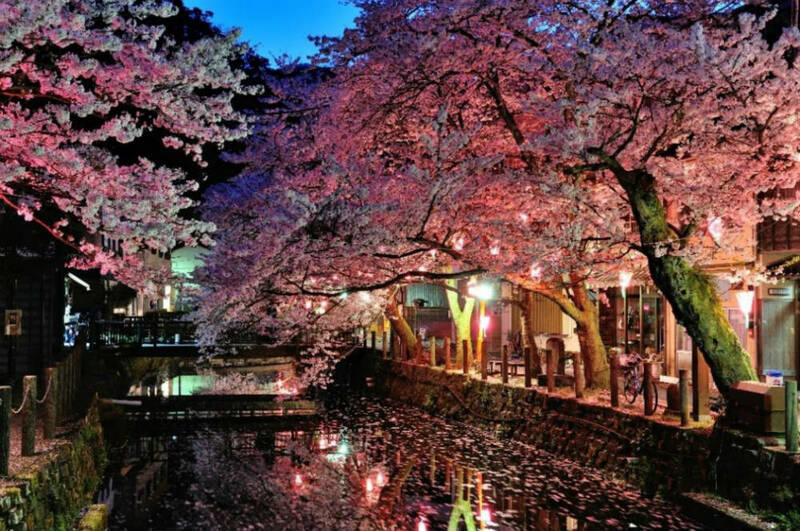 In Kinosaki Onsen (Toyooka City, Hyogo Prefecture, Japan), you can enjoy a magical cherry blossom experience while enjoying the town's seven public onsen and traditional atmosphere. From the end of March to the beginning of April, visitors marvel at sakura trees lining the canals of Kinosaki Onsen and decorating the base of the Izushi Castle ruins. In Kinosaki Onsen and its surrounding towns, while enjoying Japan's best onsen town*, you can experience the magic of the cherry blossom season. This includes the contrast of cherry blossoms from day to night, the ensemble of sakura and traditional landscapes, and the beauty that comes from both the start and the end of the blooming period. At the season's peak, one can fully appreciate the cherry blossoms in the area. During the daytime, the delicate pale pink of the cherry blossoms stands out against the town's green willow trees and red bridge. At night, the sakura glows among the lanterns that run along the river. At the end of the season, it is customary in Kinosaki Onsen to watch the petals fall off the trees, dance in the air, and then float down the Otani River. Sakura petals floating down the river is a popular phenomenon called hana ikada. Hana Ikada, meaning floral raft, occurs at the end of the sakura season when clusters of cherry blossoms cover the river's surface. The clusters of petals resemble a raft floating down a river. You can enjoy cherry blossoms in Kinosaki and the surrounding towns of Takeno, Izushi, Tanto and Kannabe. Kinosaki Onsen: One great place to see the sakura both during the day and at night is in Kinosaki Onsen along Kiyamachi Street near Ichino-Yu, one of the town's seven public onsen. Sakura line the small canal and create a soft pink canopy for nearly 1 kilometer, stretching all the way back to the ropeway. At night the pink lanterns glow softly, creating a romantic atmosphere perfect for an evening stroll between onsen and shop visits. Izushi: To spread out a sheet under the cherry blossom trees and enjoying the flowers while eating a packed lunch is a traditional pastime in Japan, and is called hanami or flower-viewing. One excellent place to partake in this hanami tradition is in Izushi, our castle town. The sakura trees decorate the perimeter of the Izushi Castle ruins. Participating in hanami under the sakura trees at the foot of castle ruins is a uniquely Japanese experience that you will never forget. Other locations: If you miss the ones in Kinosaki Onsen or Izushi, you can try your luck and timing with the ones in Kannabe, as they tend to bloom slightly later. 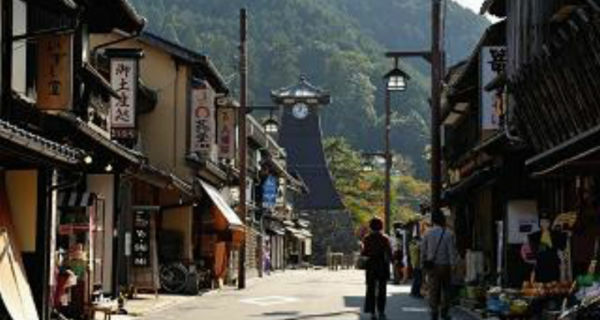 Kinosaki Onsen is a town of time-honored hot springs dating back 1300 years. It is home to seven public bathhouses, all located within walking distance of each other and the train station. Guests are encouraged to wear yukata and geta, stroll through the town, and go onsen-hopping. Toyoka is a downtown area home to the Oriental White Stork, a bird that was saved from extinction in this very town. 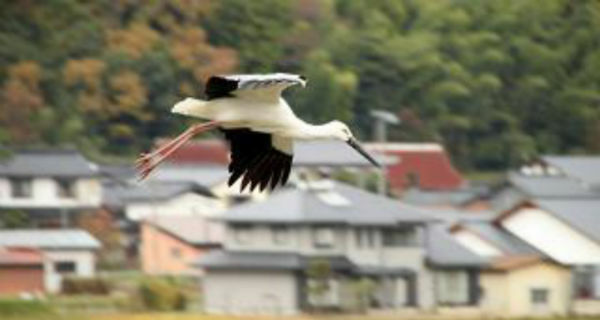 The city's efforts restored the Oriental White Stork population, and now about 140 fly the skies of Japan. Toyoka is also known for the Genbudo Caves. Izushi is the resident castle town, popular for its nostalgic atmosphere of Edo-era Japan. It is home to many interesting attractions such as castle ruins, a samurai house, a kabuki theater, and a clock tower. The town's specialty is Izushi Sara Soba, buckwheat noodles served in small portions on small plates. Kannabe is a mountainous area with fun activities year-round. In the winter, one can go skiing, snowboarding, snowshoeing, and sledding. In the warm months, one can go camping, paragliding, fishing, tree climbing, and more. Kannabe is the perfect destination for adventurers. 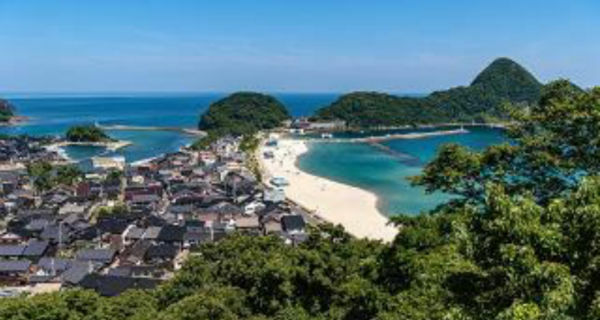 Takeno is a quaint fisherman town that is a hidden gem among the northern coast of Hyogo Prefecture. The beach has clear, blue waters while the mountains surrounding it offer great hiking opportunities. 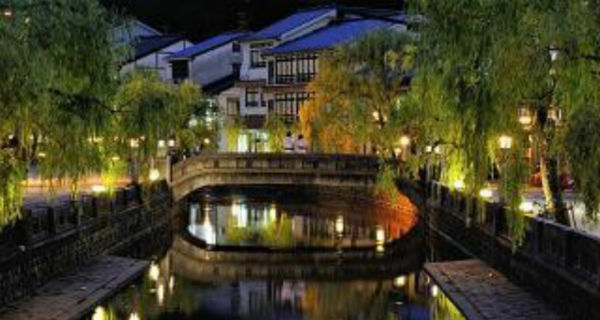 It is encouraged to stroll through the peaceful town, where one can find small shops and traditional landscapes. 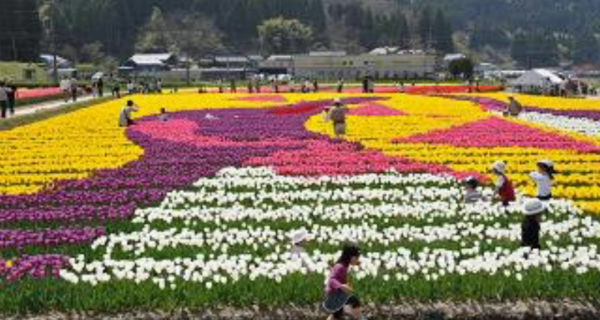 Tanto is a quiet countryside town with magnificent nature—including a giant field of tulips in the spring and brilliant red-leaved trees in the fall.